Here at Northeast Basement Systems, we count on our satisfied customers (you) to tell your family, friends, and neighbors about your experience with our company and the quality of our work. Your Gift for Referring a Friend! 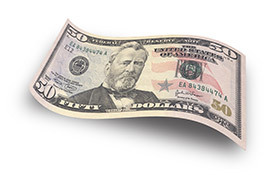 For every referral you provide that chooses Northeast Basement Systems to complete work on their home, we will reward you with $50! It's our way of saying "thanks" for your endorsement!